Last week I read two books that were so different it's not funny. The first one I read was Kingdom Come, the final book in the epic Left Behind series by Tim LaHaye and Jerry B. Jenkins. I read the first Left Behind novel when I was 14 or 15, so years ago now. Basically the Left Behind series is a fictional take on the book of Revelation from the Bible, the story of the end times. The series itself was a good read, with some books being better than others (not surprising for a 13-book series) but I actually found this one to be a little disappointing. It only really concentrates on a small period of time during Jesus' 1000-years reign and it really feels as though they could have done so much more. Very disappointing final book of a series. 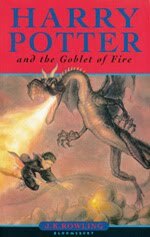 This week I'm reading Harry Potter and the Goblet of Fire for about the millionth time (because I need an HP fix, it's been a few months since I read one and I was having Harry-withdrawals!) 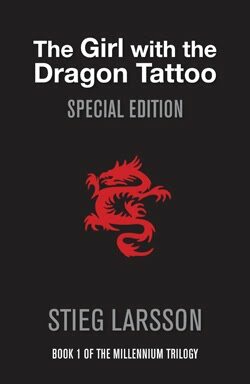 and I've also been lent The Girl with the Dragon Tattoo by a friend at work which I am hoping to start on this week too. Everything I've heard about this book has been good, so hopefully it lives up to the hype! What have you been reading lately? Any suggestions for what I should read next?